Post-Turkey Day Laughs on Saturday night! Music + improv comedy, dance + improv, and more! We're super thankful for our wonderful audiences! Let us entertain you this holiday weekend with a hilarious show featuring musical improv comedy, The Movement (where we mix improv with modern dance from The Collective), and more! Use it as an excuse to get away from your family, or bring them along because you love them so much! There's Black Friday, Cyber Monday, and now Giving Tuesday—a way to help the non-profits you love! 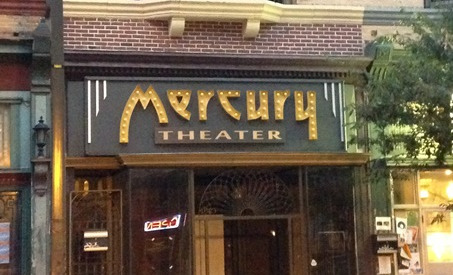 The Baltimore Improv Group is a non-profit, and right now we're trying to fix up our new home, The Mercury Theater. Won't you toss us a few bucks to help us spruce up this awesome new home for improv comedy in Charm City?